Journalist-turned-ratepayer advocate D. Maurice Kreis hung his framed photo of U.S. Supreme Court Associate Justice Louis Brandeis upside down in his office in protest. Power to the People is a column by D. Maurice Kreis, New Hampshire’s Consumer Advocate. Kreis and his staff of four represent the interests of residential utility customers before the NH Public Utilities Commission and elsewhere. Power to the People is co-published by InDepthNH.org and Manchester Ink Link. CONCORD – News flash: There is no such thing as a free lunch. The Federal Energy Regulatory Commission (FERC) apparently does not understand this. Thus the FERC dealt New England’s electric ratepayers a blow on April 10. At issue is the New England Power Pool, more typically referred to by its nickname NEPOOL. Nominally the stakeholder advisory board to the nonprofit regional grid operator ISO-New England, NEPOOL is the forum through which the major corporations that own New England’s big generators and transmission lines must sit down and make nice with representatives of ratepayers, government, public power entities, and upstart renewable energy firms. It is via NEPOOL, for example, that the grid’s stakeholders have been hashing out plans to dole out hundreds of millions of dollars in free money to big legacy generators in the name of “fuel security.” The poster child for this largesse is Mystic Station just north of Boston. Like about half the region’s generation capacity, Mystic Station burns natural gas. But Mystic Station is unique because its fuel arrives by boat, which ISO New England loves because the fuel supply ostensibly cannot be interrupted on really cold days when every spare molecule of natural gas is needed for heating. A plucky trade publication known as RTO Insider – RTOs are “regional transmission organizations,” of which ISO New England is an example – kicked up a fuss last year when one of its reporters, Michael Kuser, applied for NEPOOL membership. Since Kuser is a Vermont-based consumer of electricity, he qualifies as a member of NEPOOL’s “end-user” sector. NEPOOL told Kuser to get lost. RTO Insider took its case to the FERC, which ruled that NEPOOL could not exclude an otherwise-eligible applicant just because he happens to be a journalist hoping to shed a bit of light on NEPOOL proceedings. It was the proverbial Pyrrhic victory. NEPOOL told Kuser he was welcome as long as he abides by NEPOOL’s official ban on reporting on what goes on at meetings. Anticipating this outcome, RTO Insider filed a complaint at the FERC last year directly challenging the ban on media reporting NEPOOL meetings. On April 10, the FERC dismissed the complaint. By a 3-0 vote (with Commissioner Cheryl LaFleur, the only New Englander on the panel, not participating), the federal energy commissioners ruled that the FERC lacks the jurisdiction under the Federal Power Act to order NEPOOL into the sunshine. Amen. But it is a shame that Glick bought into the notion that the FERC lacks jurisdiction because, to quote the decision, “rules governing only attendance at NEPOOL meetings do not directly affect the filings brought before the Commission” by NEPOOL – and it is such a direct affect that forms the basis of the FERC’s jurisdiction over NEPOOL decisions. 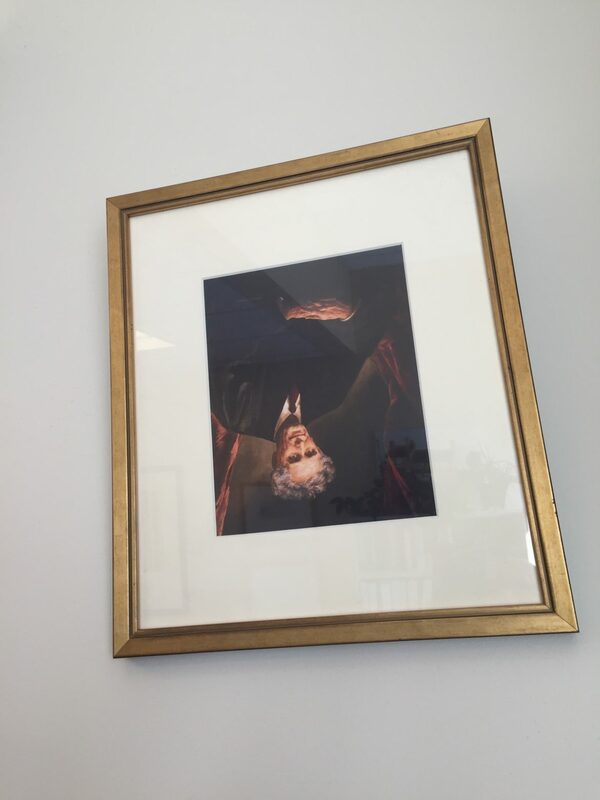 As a journalist-turned-ratepayer advocate (with intervening stops at law school and a few other places), I am hanging the portrait of Justice Brandeis in my office upside down in protest. And as a member of NEPOOL (New Hampshire’s Office of the Consumer Advocate qualifying for the end-user sector, just like Kuser does), I contend that the FERC’s ruling hobbles my ability to participate in NEPOOL effectively. There are 15 days of NEPOOL meetings on the calendar for April. Among them are gatherings of the Markets Committee, Reliability Committee, Planning and Advisory Committee, Transmission Committee, Budget and Finance Subcommittee, Membership Subcommittee, and the Demand Response Working Group. The latter, by the way, is talking about clamping down on the ability of energy efficiency to bid its ‘nega-watts’ into the region’s capacity markets, a key source or funding as New Hampshire pursues all cost-effective energy efficiency. If you’re a big transmission owner like Eversource or a big generation conglomerate like Exelon (owner of Mystic Station), you have the resources to staff all of these NEPOOL meetings as necessary. My tiny organization – we have five employees and a bit of consulting help – does not. Allowing media coverage of NEPOOL meetings would have leveled the playing field by allowing under-resourced end-user and public members to know what’s really going on at all of those endless NEPOOL meetings where the future of the electric grid is hashed in dialogue with the people who run ISO New England. NEPOOL insiders get this, which is why several of them unashamedly told the FERC they make their living by selling their insights gained at meetings to clients who can afford what amounts to private journalism. Brandeis – who built his reputation as “the people’s lawyer” by fighting Gilded-age robber barons prior to his appointment to the U.S. Supreme Court in 1916 – would have understood NEPOOL for what it is. NEPOOL is a gentlemen’s club straight out of the 1880s, a time when financiers like J.P. Morgan determined the course of the U.S. economy behind closed doors. NEPOOL even features free food; there is always a lavish and tasty lunchtime buffet at all-day NEPOOL meetings. Except the food isn’t free; ultimately, it is paid for by the region’s electric customers. Obviously, the open buffet would have to stop if NEPOOL meetings became public gatherings. That, however, is what is truly needed here. Not just an end to the ban on media coverage but an acknowledgement that NEPOOL is doing the public’s business and its meetings should therefore be public. Meanwhile, I guess RTO Insider should now rename itself RTO Outsider.